Designed as a porous, heavy duty, breathable, weed suppressant membrane. UV stable, 70g membrane, which is highly resistant to puncturing and tearing. 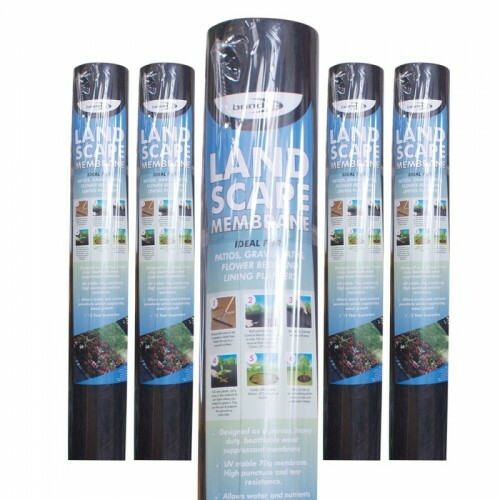 Allows water and nutrients to penetrate whilst suppressing weed growth. 15 year guarantee. Ideal for gravel paths, bark chippings and decking.